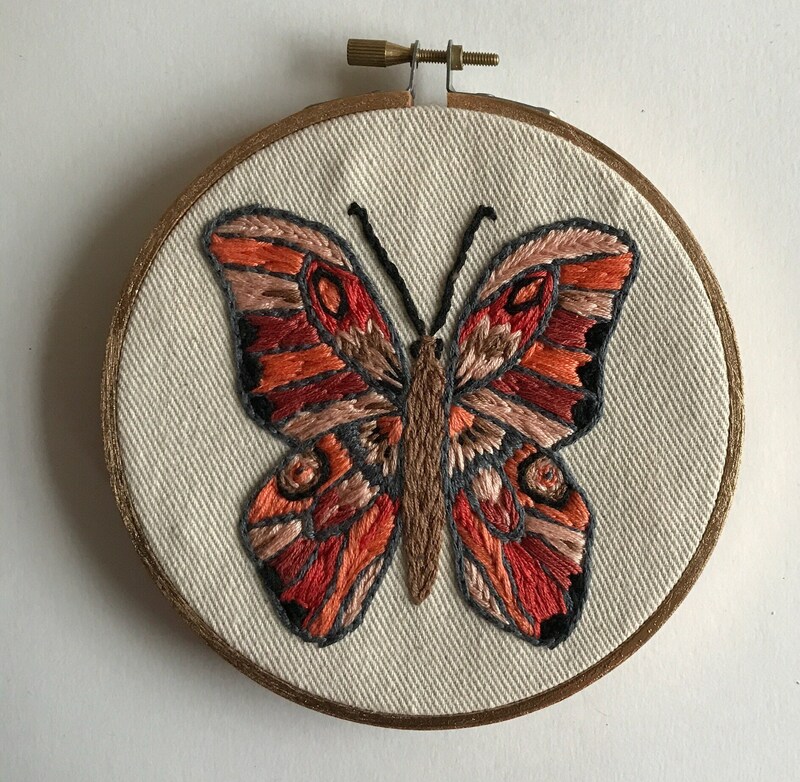 Ready to hang embroidery on cotton canvas fabric with brightly painted embroidery hoop. It measures 5 1/4 inches round 3/4 inches deep. Thanks for looking!